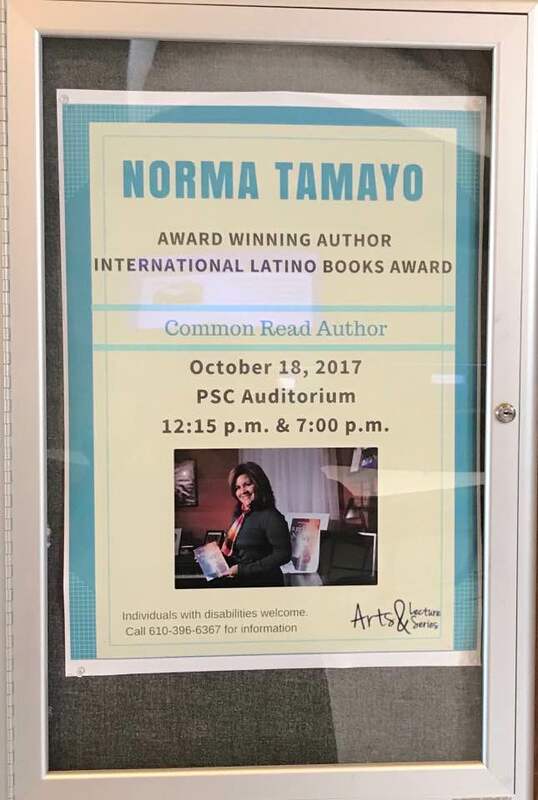 Norma Tamayo, author of A Girl Named Nina, spoke at Penn State Berks today about her life and her book. Her presentations in PSC Auditorium were well-received. This semester A Girl Named Nina was selected as the Common Reading Selection for Berks Campus. Incoming freshmen were required to read the book, and it has been made part of the curriculum for First-Year Seminars. Photo courtesy of Norma Tamayo.